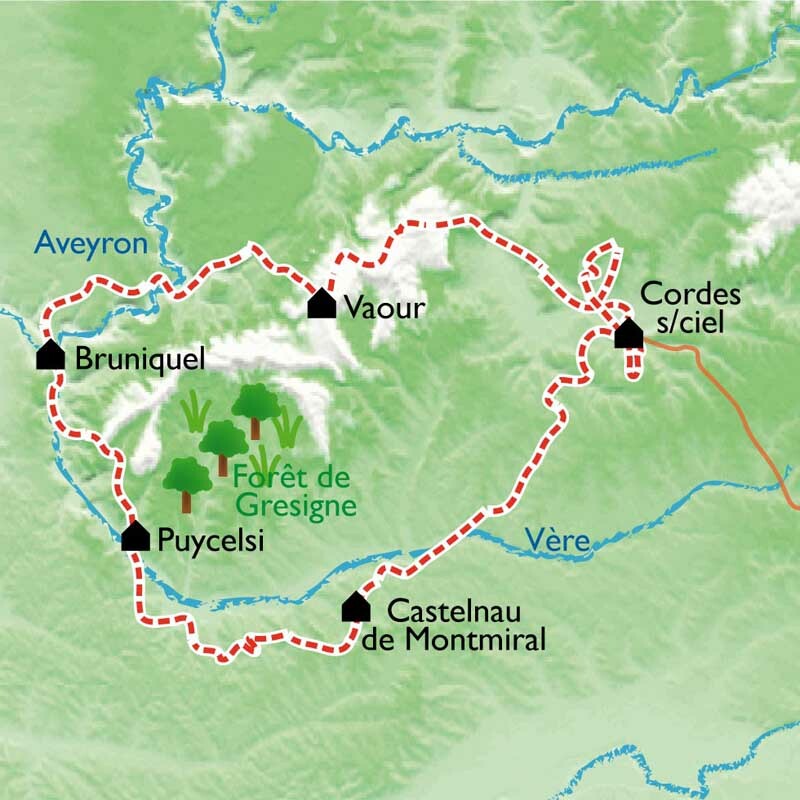 A route that allows you to discover the beautiful city of Albi as well as some of the "most beautiful villages of France", pass by lovely medieval houses, across plateaus, through forests, vineyards and wheat fields, take paths along the cliffs bordering the gorges of the Aveyron. Daily departure from April to Mid-November. Discover the beautiful town of Albi and stay overnight or Cordes depending on the option. 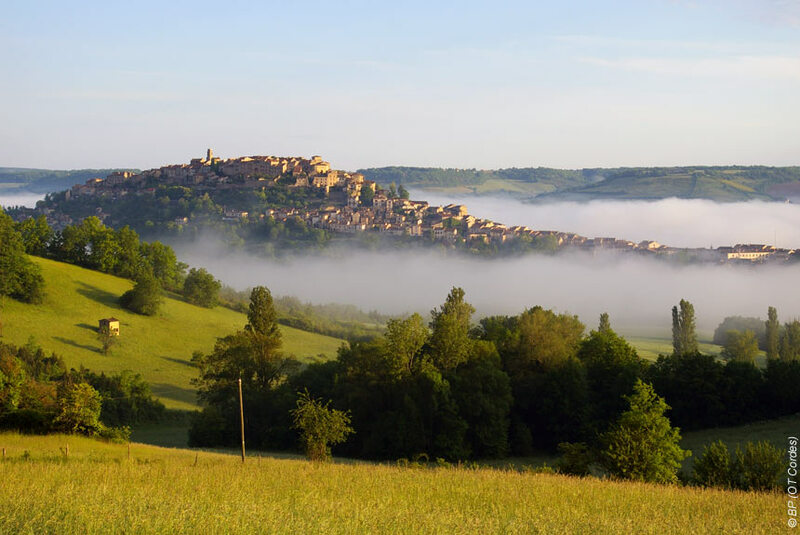 Transfer from Albi walk from Cordes to Vaour and its Templar Commandery, by the Chateau de la Prune, Roussayrolles and the Dolmen. 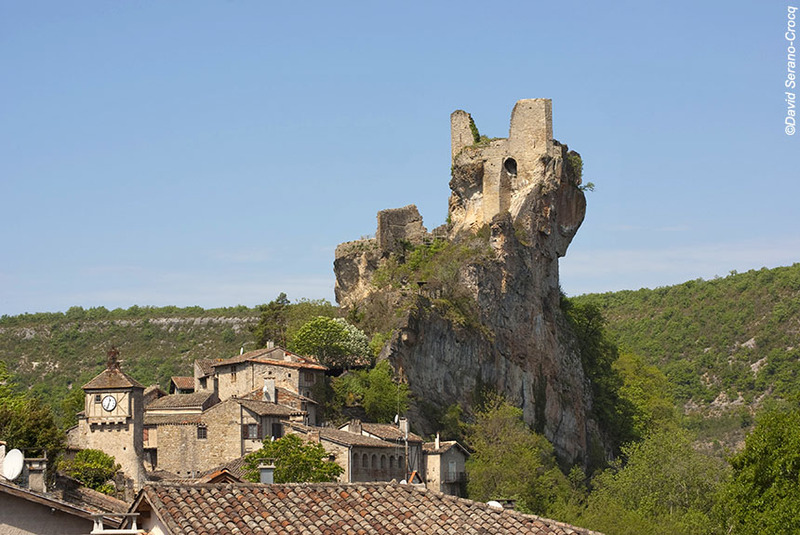 The troglodyte caves of the Suquets trail, the village of Penne on its peak, and the gorges of the Aveyron. 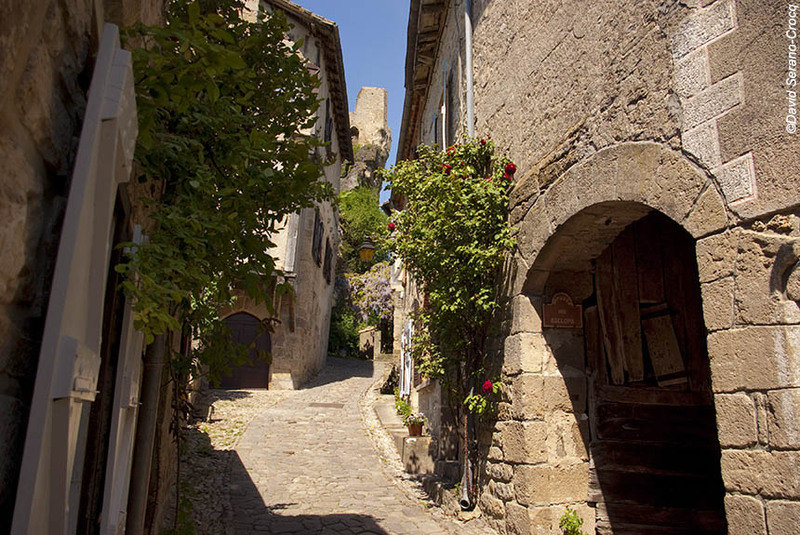 Along the river Vere, arrive in Castelnau de Montmiral, fortified city. Scenic loop around Cordes by the “chemin des pigeonniers”. End of trip in Cordes or transfer to Albi. * If you drive possibility of going directly to Cordes for the first night, end of tour will be Cordes. - 6 nights accommodation (1 night in a hotel ***, 2 nights in a hotel** and 3 nights in guesthouses). - Hotel to hotel luggage transfer along the trail.